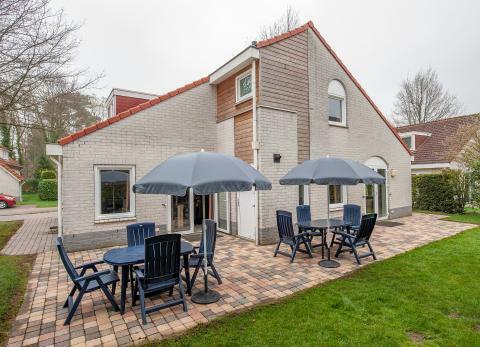 Roompot Resort Arcen in Arcen - the best offers! 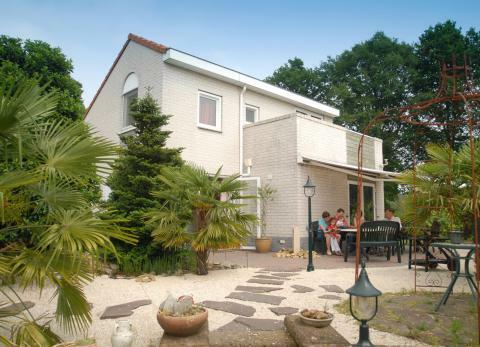 Roompot Resort Arcen is situated in the beautiful province of Limburg, on the Maas River. There is plenty to do at this holiday park. Swim, relax, play sports or go to the theatre. 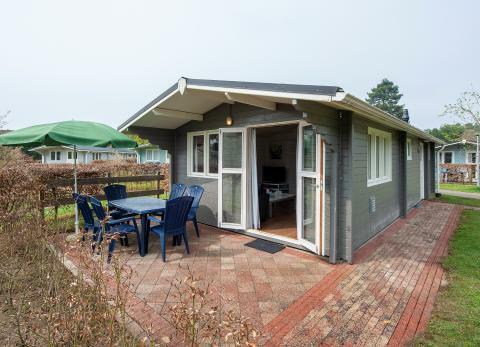 This price applies to 4-person cottage Comfort, with the arrival as 27 May 2019, 2 Nights. This price applies to 4-person cottage Luxe, with the arrival as 6 May 2019, 4 Nights. This price applies to 6-person cottage Comfort, with the arrival as 6 May 2019, 4 Nights. This price applies to 6-person cottage Luxe Villa 6A, with the arrival as 27 May 2019, 2 Nights. 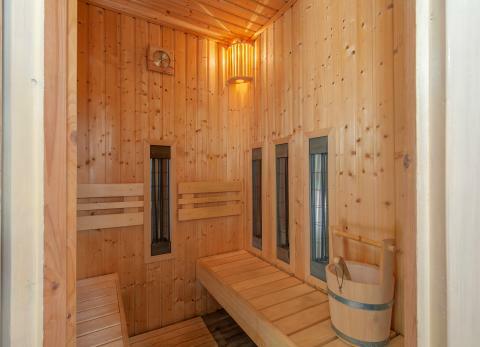 This price applies to 8-person cottage Comfort, with the arrival as 20 May 2019, 4 Nights. This price applies to 6-person holiday house Luxe Villa 6B, with the arrival as 6 May 2019, 4 Nights. 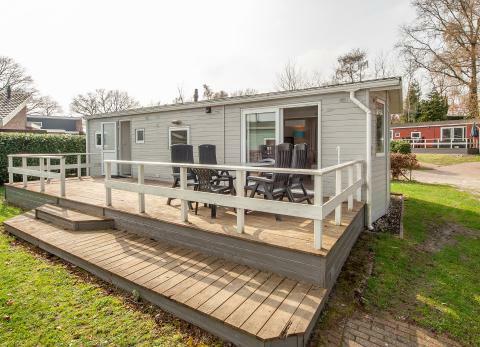 This price applies to 5-person mobile home/caravan Buitenverblijf Comfort Restyled, with the arrival as 6 May 2019, 4 Nights. 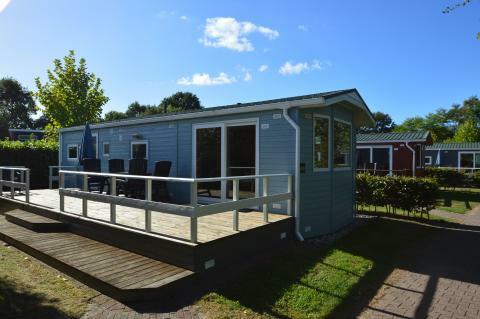 This price applies to 6-person mobile home/caravan Buitenverblijf Comfort, with the arrival as 20 May 2019, 4 Nights. 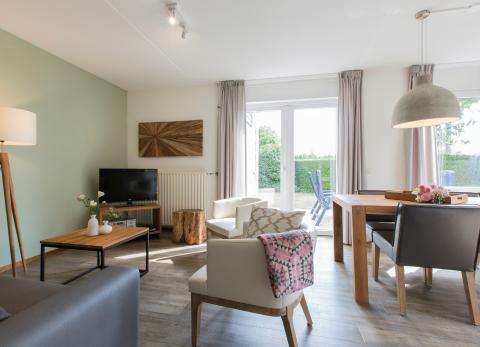 This price applies to 4-person mobile home/caravan Buitenverblijf Wellness Restyled, with the arrival as 20 May 2019, 4 Nights. This price applies to 12-person group accommodation Comfort, with the arrival as 27 May 2019, 2 Nights. 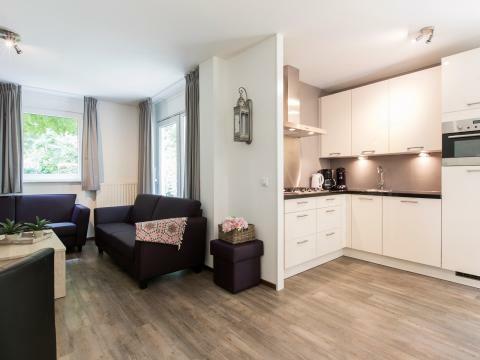 This price applies to 10-person group accommodation Comfort Restyled, with the arrival as 11 June 2019, 3 Nights. 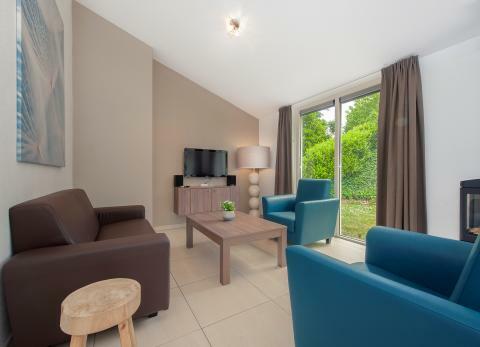 This price applies to 10-person group accommodation Luxe, with the arrival as 27 May 2019, 2 Nights. This price applies to 12-person group accommodation Luxe Villa, with the arrival as 11 June 2019, 3 Nights. This price applies to 20-person group accommodation Luxe, with the arrival as 27 May 2019, 2 Nights. Pets are always on request. Please make your request clear when booking, and the park will take it into consideration,. 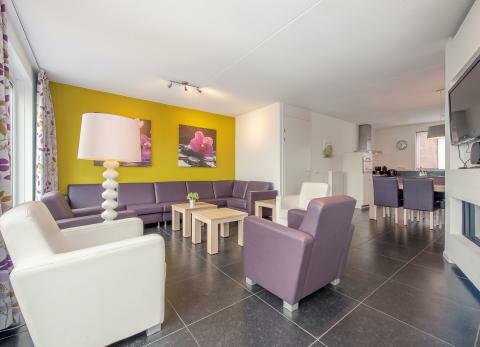 Roompot Resort Arcen is situated in the beautiful province of Limburg right on the River Maas. At the park you can swim, relax, play sports or go to the theatre! The surroundings largely consist of forest and meadow. Stroll through the gently rolling landscape or visit on the picturesque villages in the area. 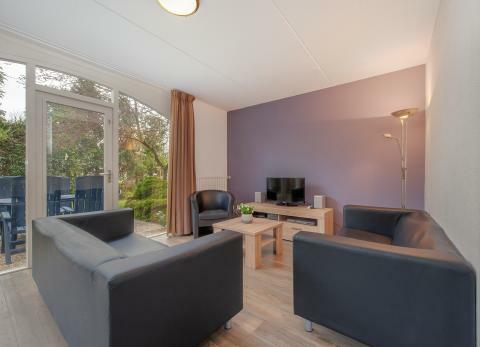 Roompot Resort Arcen has many facilities that are sure to enhance your holiday. Take a dip in the indoor pool or relax in the whirlpool. Sports enthusiasts can indulge themselves in a variety of games, including bowling, mini-golf and tennis. They can also make use of the sports fields. When the weather’s nice, you can visit the lake and swim or sunbathe. You can even go fishing in the lake or in the Maas. For a special show, visit the open air theatre at Roompot Resort Arcen. The children will have a fantastic time at Roompot Resort Arcen. The pool can be enjoyed by all ages, and for the very smallest guests there is a separate children’s pool. There is also a playground at the park and a beach surrounding the lake. If the weather’s not fantastic, the kids can play in the indoor playroom with villiards, darts and video games. 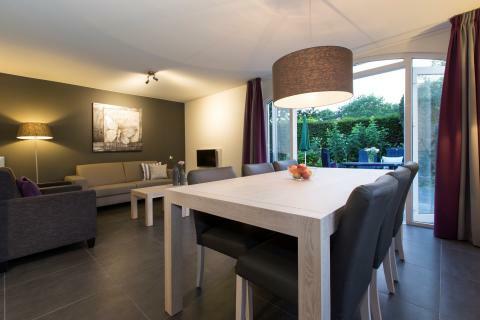 You will find a variety of restaurant at Roompot Resort Arcen. For a delicious family meal, everyone can enjoy the restaurant with panoramic terrace. Taste some Dutch beer in the traditional pub or have a snack at the café. There is a supermarket at the park. 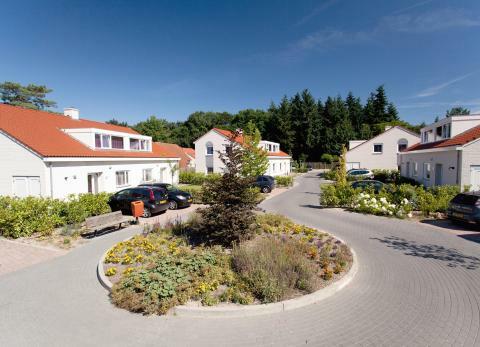 Roompot Resort Arcen is on the border with Germany. This means you can easily pop over to cities like Düsseldorf. Admire the famous baroque church, richly decorated with stucco and statues. In the church there is also a mausoleum. Arcen itself is also highly recommended. Stroll through the Castle Gardens of Arcen and admire the beautiful plants and flowers. For a day of relaxation, go to Arcen Thermal Spa, where you can dip in the healing spring water. Those who like adventure can do a survival or mountain bike tour. During regular Dutch school holidays guests can use sport and animation facilities for free. The tennis court can only be reserved during the weekdays from 09:00 - 12:00 AM. 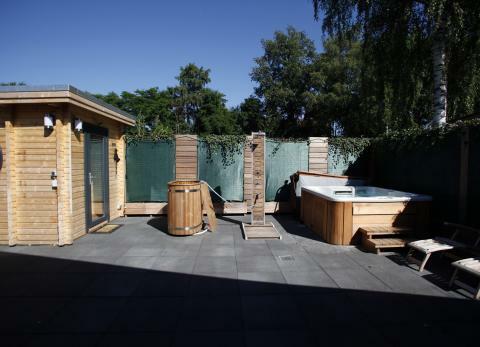 The accommodation types 4- en 6-person cottage Comfort are either detached or terraced. If you have a preference, you need to mention that during booking and the holiday park might charge you a preference surcharge.